New Central Library Opens in One Week! 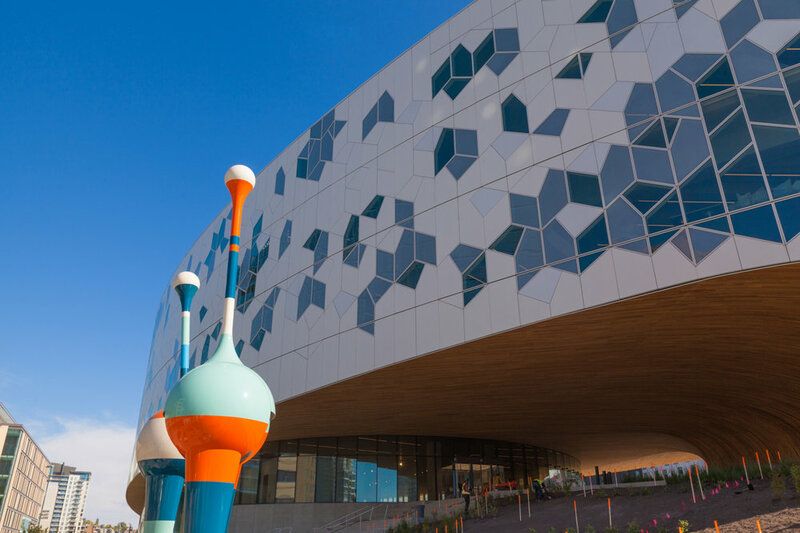 When Calgary’s new Central Library opens its doors on November 1st, another chapter will be complete in the East Village master plan, and a new era of EV living will begin. Residents’ book collections will grow by hundreds of thousands. There will be another spot to pick up lunch and coffee, and more ways than ever to connect with community. To mark the library’s 7-day countdown, we’ve called out our top 7 NCL highlights. 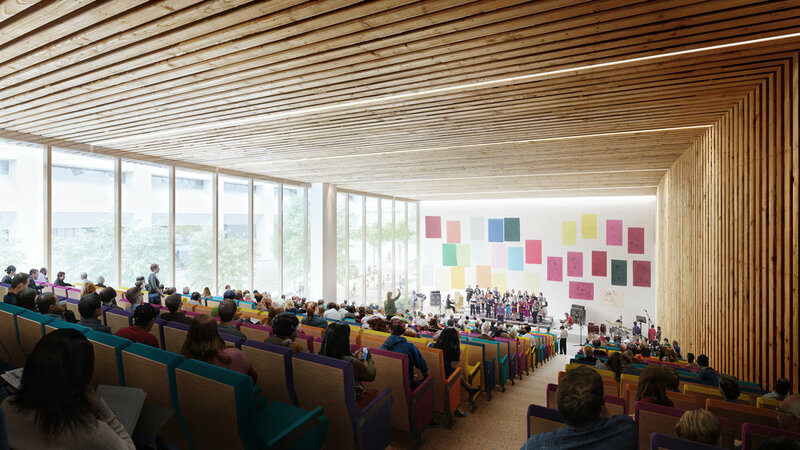 Read on, and tell us what you’re most looking forward to at the new Central Library! You may have already spotted the striped TRIO sculptures swaying gently outside NCL, but there are even more wonders to behold inside the building. On November 1st, start your art scavenger hunt with the Indigenous installations. Six artists with a connection to Treaty 7 territory have adorned 3 spaces in the library: the main entrance, the feature staircase, and the Elders’ Guidance Circle. As you explore the building, keep your eye out for FISH, Christian Moeller’s mosaic book wall that forms a giant goldfish. You’ll want to plan regular visits, too—the artist-in-residence program will bring a new artist into NCL every 3 months. The architecture design team found inspiration for the new Central Library in the landscape surrounding Calgary. This influence is reflected in features such as the exterior wooden soffit, which is reminiscent of a chinook arch cloud formation. The Prow: An overhang juts out over the mouth of the tunnel that encases the LRT line, reaching out toward the city and 7th Avenue SE. The top floor of the Prow—the peak—boasts the best views, as well as a community living room. 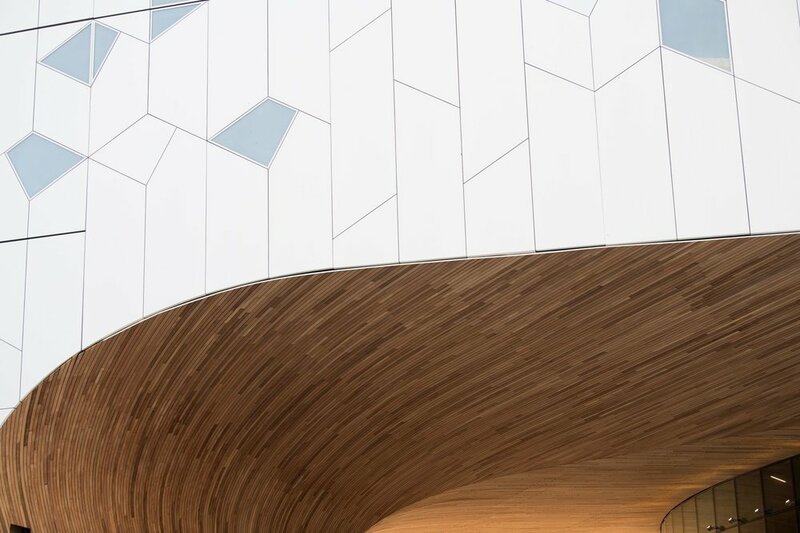 The Oculus: This central skylight celebrates Calgary’s famously sunny skies and brings natural light into the building. Curtain Wall: Over 460 unique glass panels in five different shapes form the building’s curtain wall. Fabricated by Calgary-based manufacturer Ferguson Corporation, they have a clear, glazed or fritted finish, and were strategically placed to prevent heat build-up inside. All kinds of spaces for all kinds of people have been created at the new Central Library—both inside the building’s 240,000 sq. ft. and outside as well. The exterior public spaces have been designed for programming, performances, and sunny days when you can sit outside with a good book. Inside, there are more than 30 free meeting rooms that you can book and access with your library card, making it easy to host your study group or book club. Plus, there are designated spaces for Indigenous culture, entrepreneurs and job hunters, children, teens, and newcomers to Canada. Think a library is all about books? Think again. Though there are books—450,000 books, to be specific—of every genre and topic that you could imagine, the library has so much more to offer. The new Central Library Calgary hosts 220 public computers, recording studios, a gaming area, AV editing suites, and an idea lab. Get ready to up your creativity, tech and innovation game. After books have been read, research has been done and community meetings have finished, you’ll need a place to re-fuel. Enter LUKES, the new Central Library's food and beverage operator. 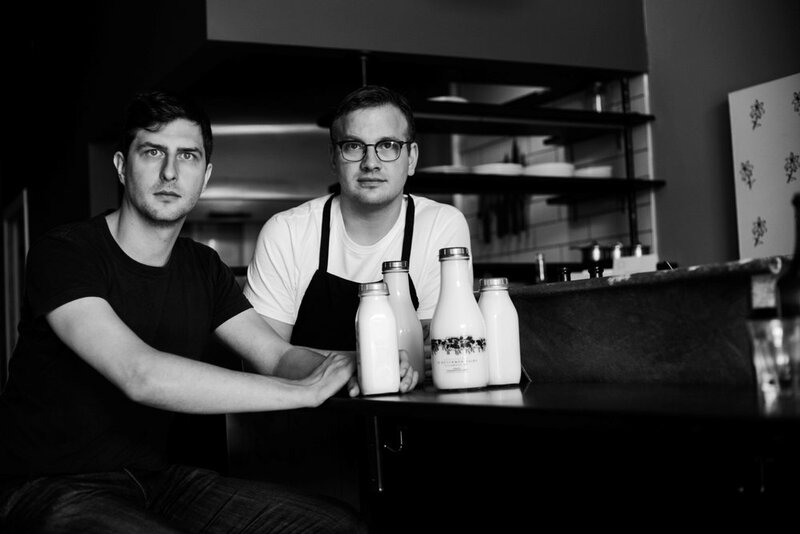 The dynamic local partnership of Gareth Lukes (LUKES Drug Mart) and chef Eric Hendry is bringing two café spaces to life on levels 0 and 1. You can expect to find something for everyone at NCL: seminars, performances, presentations, and programming for all ages—from babies to seniors. Stay tuned to Calgary Public Library’s channels for announcements on all kinds of exciting new events, including a speaker series you won’t want to miss. One of our favourite things about NCL? 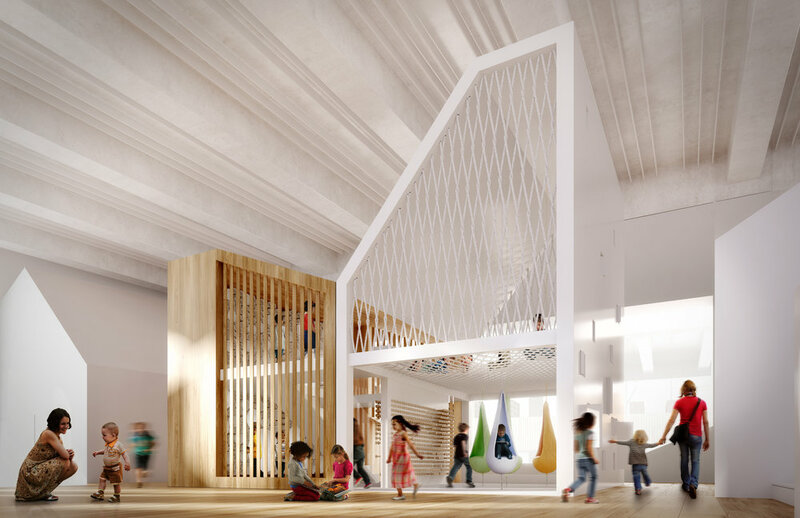 It provides a cultural and physical connector that reunites our neighbourhood with the Calgary core. The CTrain station on 7th Ave and 3rd St SE is just steps away, making it easy for library lovers from all around the city to come visit. And an improvement project on 3rd St SE has made the street and public realm more pedestrian-oriented with improved connection from NCL to RiverWalk. We want to know what you’re most excited for at #NCLinEV!